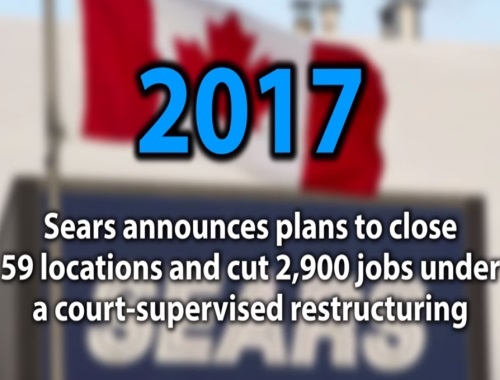 Sears is closing many of their Canadian stores (59 locations and 2900 jobs lost) and they just announced today that they plan to start their Liquidation sales starting July 21! The stores are expected to remain open during normal hours of operation until their respective vacate dates, but not later than October 12, according to the legal motion, which has not yet been approved by the court. In all, 20 full-line Sears department stores will be closed, none of them in the GTA. Another 15 Sears Home stores will be closed, including locations in Scarborough, Ancaster, London, Windsor, Woodbridge, Orillia, Sudbury and Kingston. Click here for more details on the Star news article.